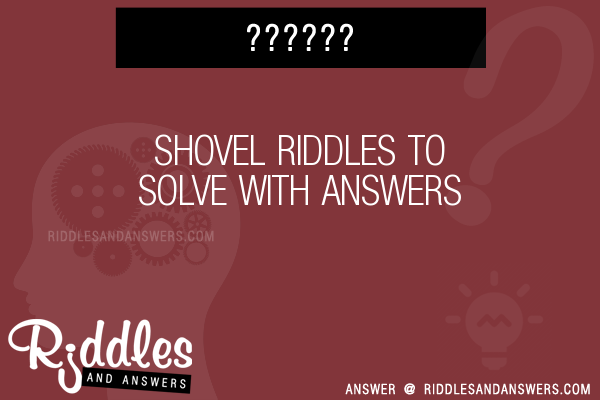 Here we've provide a compiled a list of the best shovel puzzles and riddles to solve we could find. The results compiled are acquired by taking your search "shovel" and breaking it down to search through our database for relevant content. A man named Tom goes to a party. Him and three guests go into a back room to play some games. A few hours later the four of them are discovered dead. One was beaten with a shovel, another had a drill bit in his head, and the other had been clubbed to death. Tom has no marks on his body. He died of a heart attack (all of the deaths are related to a suit in a deck of cards).